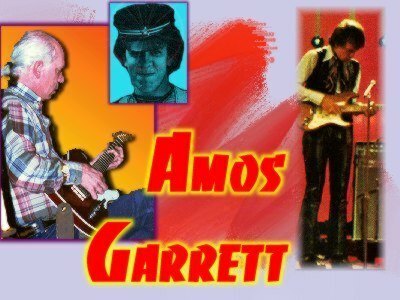 AMOS GARRETT started his career in Toronto with a group called the Dirty Shames and then later worked for Ian & Sylvia Tyson's Great Speckled Bird. Anne Murray hired him to play on the sessions that produced Snowbird. Along the way he has played for more than 150 other artists, including: Paul Butterfield, Emmylou Harris, Maria Muldaur, Geoff Muldaur, Anne Murray, Hungry Chuck, Jessie Winchester and Stevie Wonder. Today he enjoys releasing his own albums with his band The Eh Team and working with friends. ©2004, The Cool Groove, All Rights Reserved.